no comments in "Civil society"
Almotamar.net - Deputy Head of Research and Training Centre at Aden University Dr Huda Ali Alawi has led the Centre’s delegation for observation of the presidential and general elections in the Republic of Sudan scheduled to be held on Sunday. 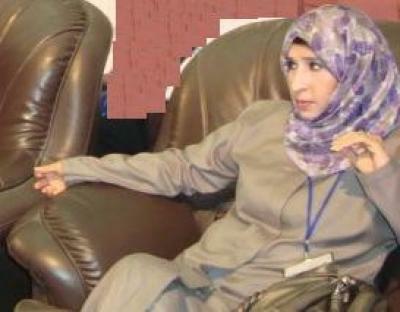 Participation of Aden University’s Centre comes as a result of coordination with international organisations for observation of integrity and transparency of elections in Sudan and as a kind of the Yemeni woman distinguished activity at the Woman Centre in different scientific, cultural, social, literary, political, legal and civil society organisations fields. The delegation participation comes as part of the Arab-European independent team for observation of the Sudanese elections.